Blue Note Records was founded when a German immigrant named Alfred Lion produced his first recording session with boogie woogie pianists Albert Ammons and Meade “Lux” Lewis on January 6, 1939 in New York City. Blue Note has gone on to represent The Finest In Jazz, with an iconic aesthetic that coalesced around Lion’s impeccable A&R instincts, Francis Wolff’s elegant and insightful photography, the sterling sound quality that Rudy Van Gelder made his hallmark, and the strikingly original cover artwork of Reid Miles. 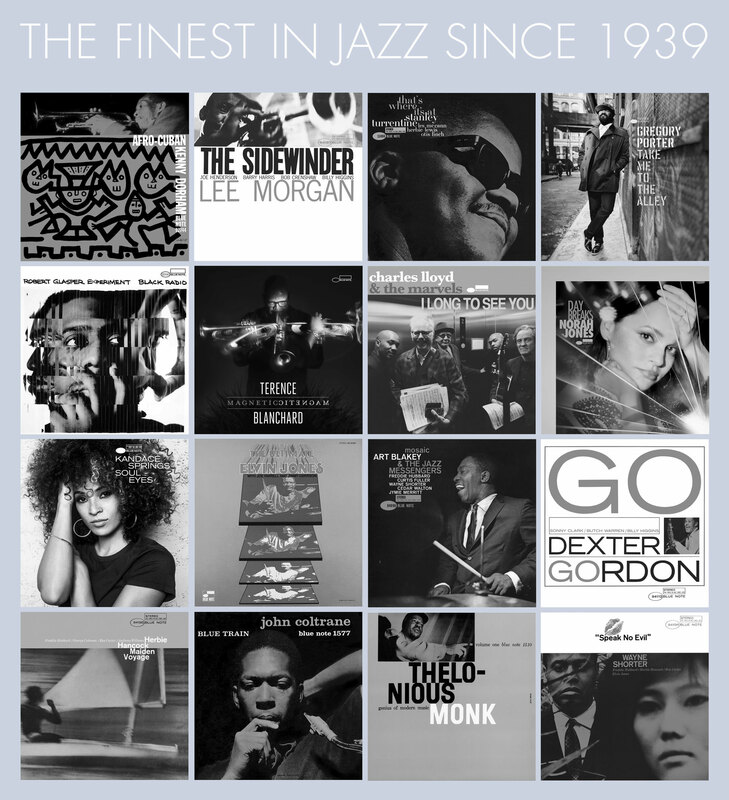 The Blue Note catalog traces the entire history of the music from boogie woogie, hot jazz and swing, through bebop, hard bop, post bop, soul jazz, the avant-garde, and fusion, and into jazz’s numerous modern day incarnations. Blue Note artists include a true Who’s Who of jazz giants: Thelonious Monk, Bud Powell, Miles Davis, John Coltrane, Cannonball Adderley, Sonny Rollins, Horace Silver, Art Blakey, Jimmy Smith, Dexter Gordon, Lee Morgan, Grant Green, Donald Byrd, Freddie Hubbard, Joe Henderson, Herbie Hancock, Wayne Shorter, McCoy Tyner, Ornette Coleman, and many more. After a brief dormancy from 1981-1984, Blue Note returned reinvigorated by the leadership of Bruce Lundvall and has since established itself as the most respected and longest running jazz label in the world. Lundvall carried forth the Blue Note legacy over the course of the nearly 30 years he presided over the label, documenting cutting-edge jazz artists like Greg Osby and Jason Moran, while also hearing the promise in genre-straddling singers like Cassandra Wilson and Norah Jones. The same must be said of Don Was, the consummate music man who became President of the label in 2012 and is now charged with leading Blue Note into the future. Was keeps his ear to the ground listening for the next artists who are going to change the music, while signing broad-minded vocalists like Gregory Porter, José James, and Kandace Springs, and honoring the legacy of jazz by bringing the label’s legends home like Wayne Shorter, Dr. Lonnie Smith, and the late Bobby Hutcherson. Blue Note Records is one of the flagship labels of the Capitol Music Group. As President of Blue Note Records, Don Was is both the company’s leader and chief ambassador for its music, charged with bringing the label’s 21st Century jazz artists and its expanding pallete of contemporary musicians to larger audiences. Was is also a steward of Blue Note’s singular and historic catalogue of music, and is burnishing the label’s historic legacy through his involvement with ongoing and extensive reissue campaigns that serve audiences in both the analogue and digital realms. Was finds inspiration in the label’s original mission statement codified by the company’s founders in 1939: “Any particular style of playing which represents an authentic way of musical feeling is genuine expression. Blue Note’s records are designed to serve the uncompromising expressions of authentic musical feeling. Don Was first became known to music audiences as a founding member of the Detroit soul/funk band, Was (Not Was). 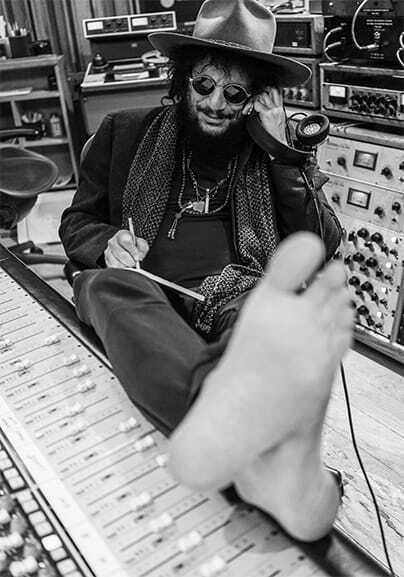 As an in-demand, highly acclaimed and commercially successful producer since the late 1980s, Was has been honored with multiple Grammy Awards and an Emmy Award for his production work with The Rolling Stones, Bob Dylan, John Mayer, Bonnie Raitt, Gregg Allman, Brian Wilson, Ziggy Marley and countless others. Albums produced by Was have achieved dozens of multi-platinum, platinum and gold certifications and have sold more than 90 million copies worldwide.